Sponsor a Child | Stories | A girl’s birthday wish to see sponsor, granted. 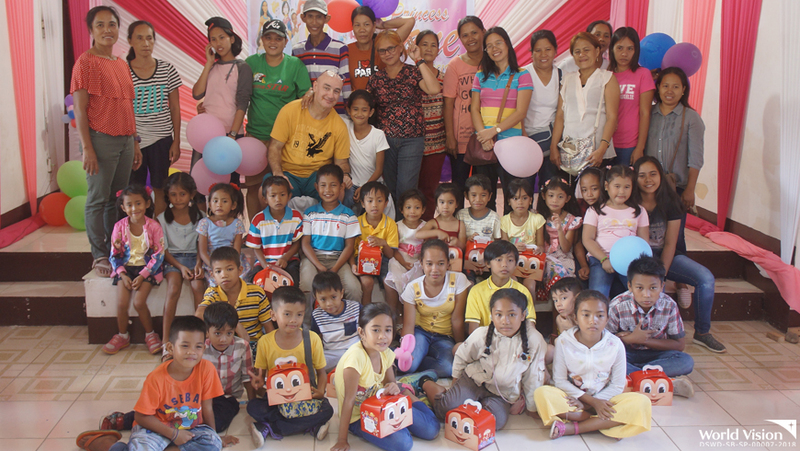 Home / News & Stories / A girl’s birthday wish to see sponsor, granted. 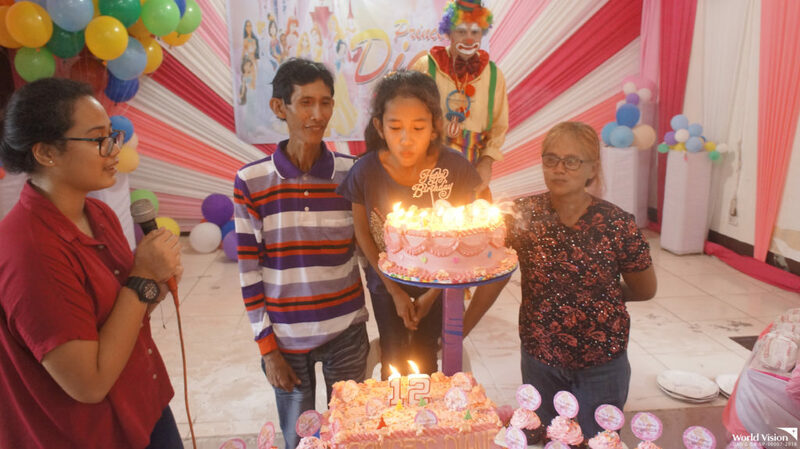 Last February 2, Princess Diane from Negros Occidental celebrated her 12th birthday with her first ever birthday party. 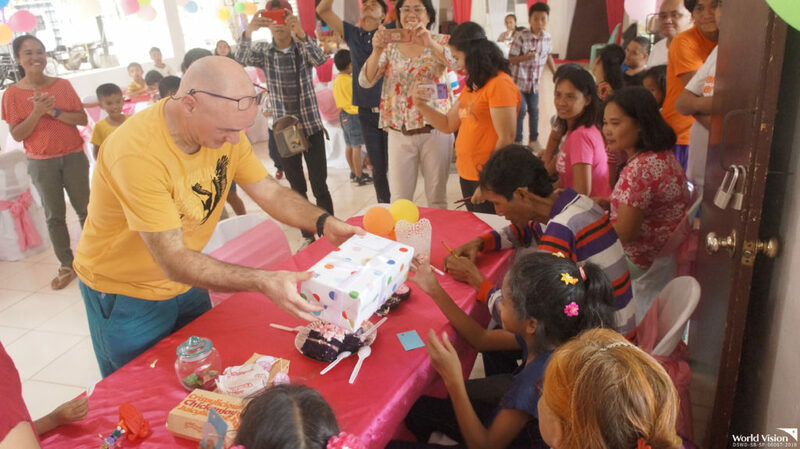 The 6th grader was up for a fun celebration with her family, friends and neighbors as her World Vision sponsor, Mr. Eisele, prepared food and games. Princess arrived at her birthday venue without knowing that she would meet her sponsor. She only knew that a party was thrown for her natal day. 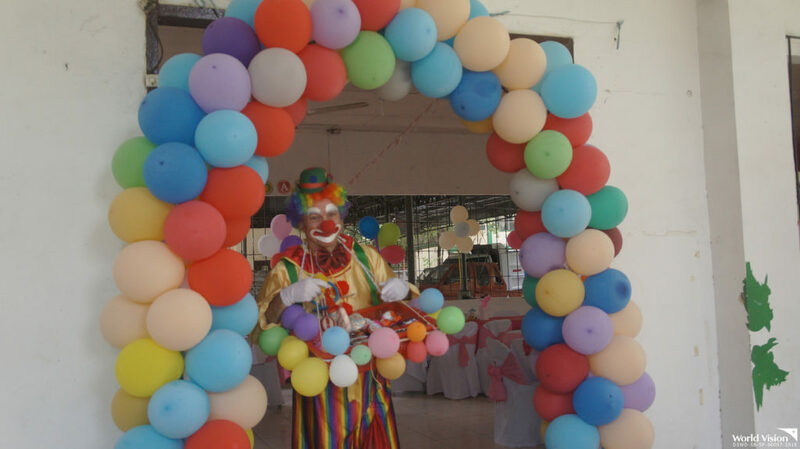 During the blowing of candles, Princess Diane expressed her wish to see her sponsor someday then Mr. Eisele, who guised as a clown, surprised her by introducing himself. Diane immediately embraced her generous sponsor. 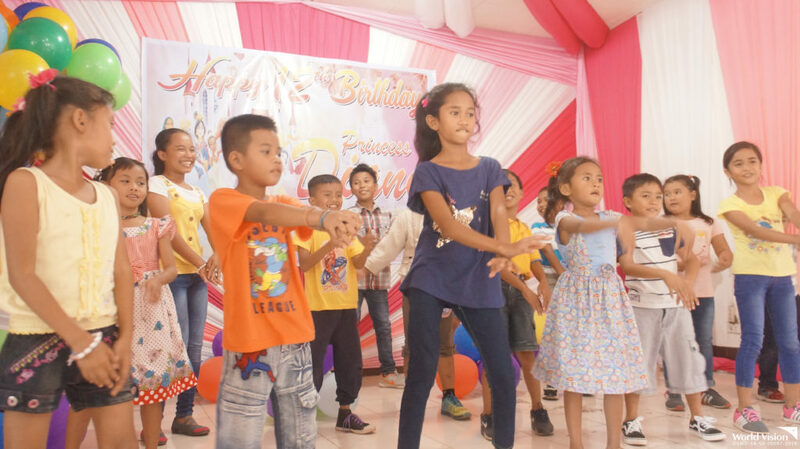 The party continued with fun games, dance presentations and gift giving. 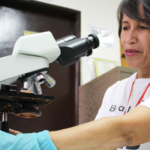 “I am very thankful to my sponsor who always supports me and my studies. 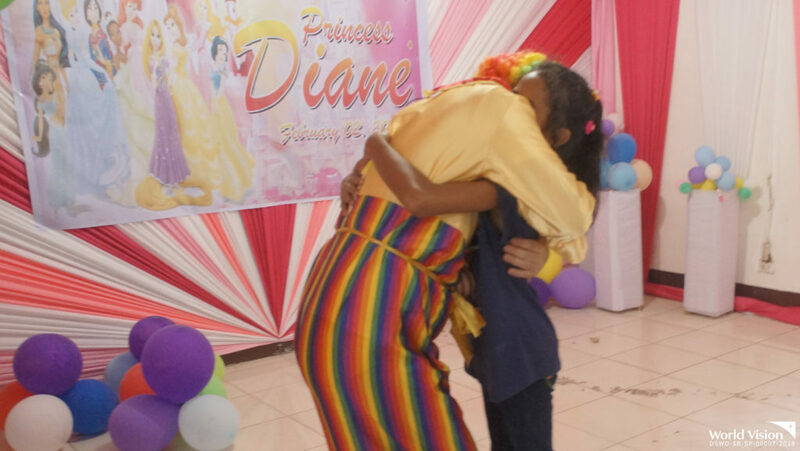 I am very happy for my birthday party,” Princess Diane shared. Despite the struggles of families displaced by the recent clashes in Marawi City, sisters Jenrose, Stephanie, and Asnaira continue to pursue their love for education. A father dutifully accompanies his daughter to World Vision child-friendly spaces to help her cope with their family's displacement from Marawi.